Exhaust to outside of building. In-built backdraft damper and “operating” light. BCA compliant for ventilation & energy efficiency. 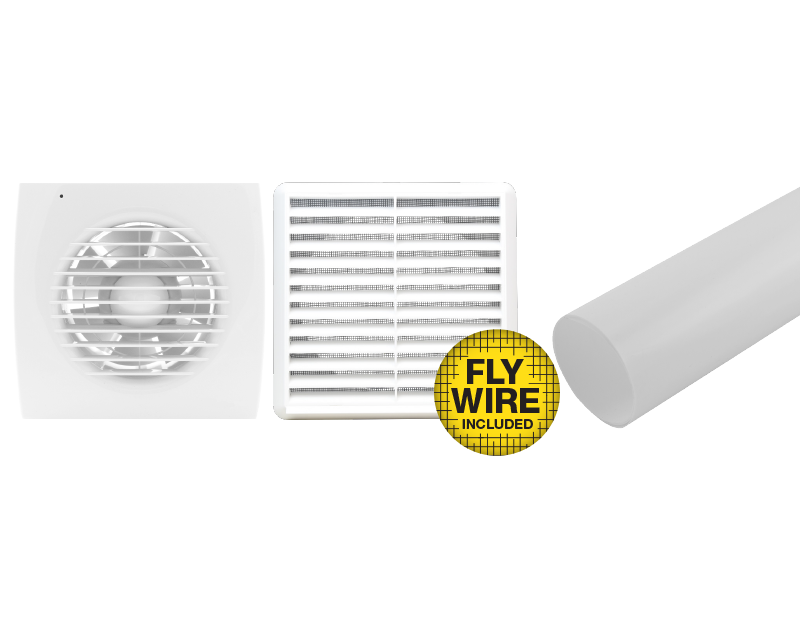 Includes quality PFL grille with fly wire mesh. 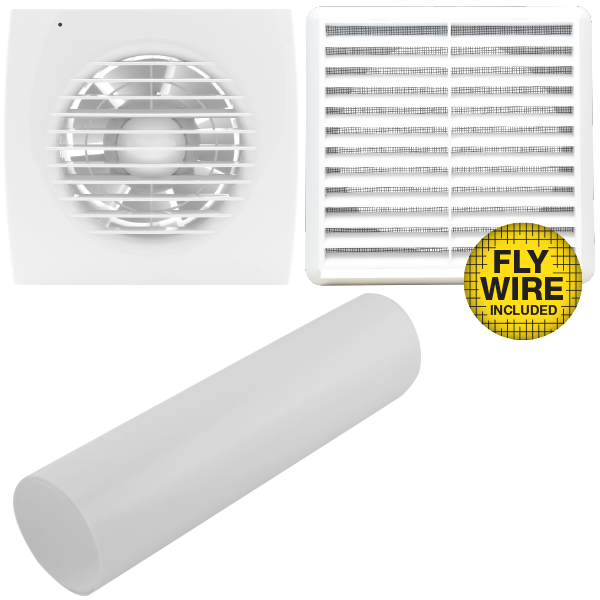 All fan kits come with wall tube and external grille.